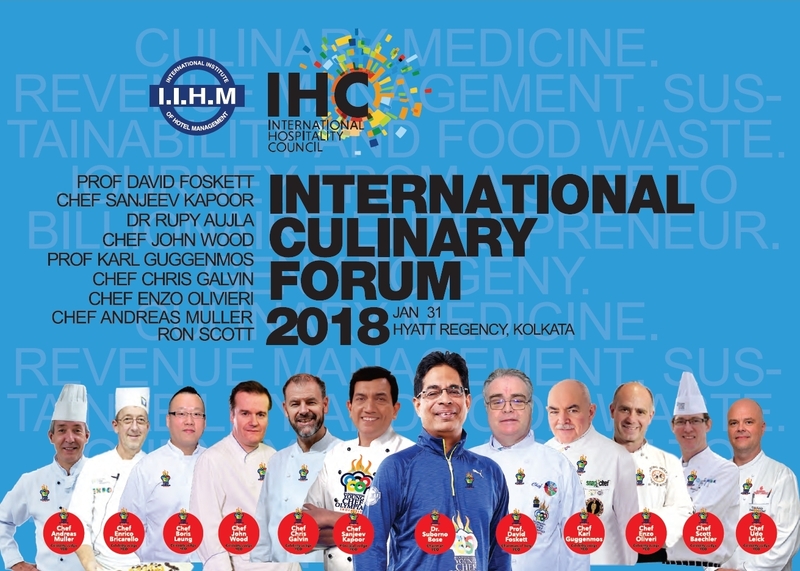 INTERNATIONAL CULINARY FORUM 2018A Gathering of culinary and hospitality practioners from every corner of the World meeting to discuss, explore, learn and share views and experiences pertinent to a range of contemporary issues affecting the Global Hospitality and Culinary World. The Forum has been designed as an integral part of the 2018 Young Chef Olympiad that is taking place in Delhi, Bangalore, Pune and Kolkata between the 28th. of January and the 2nd of February. With 50 countries participating there will be 50 of the world’s best aspiring young chefs of the future accompanied by a chef mentor the Symposium is designed to complement the competition. As well as a truly International field competing there is also a strong International representation amongst the professional panel of Judges. The panel comprises world class chefs from India, Singapore, Hong Kong, Italy, UAE, the UK, Canada and the USA. The primary aim of the Forum is to enable International experts to present views and opinions on a range of subjects and to encourage questions and views from all those present. A key focus will be on emerging trends and inspiring young people to enter the Hospitality and Culinary Industry. The audience shall comprise of chef mentors attending the Olympiad, the YCO competitors and invited guests from the hotel and restaurant industry – General Managers, Executive Chefs, Food and Beverage Directors, HR Directors, food writers and members of the press.